Stepping into the spotlight! 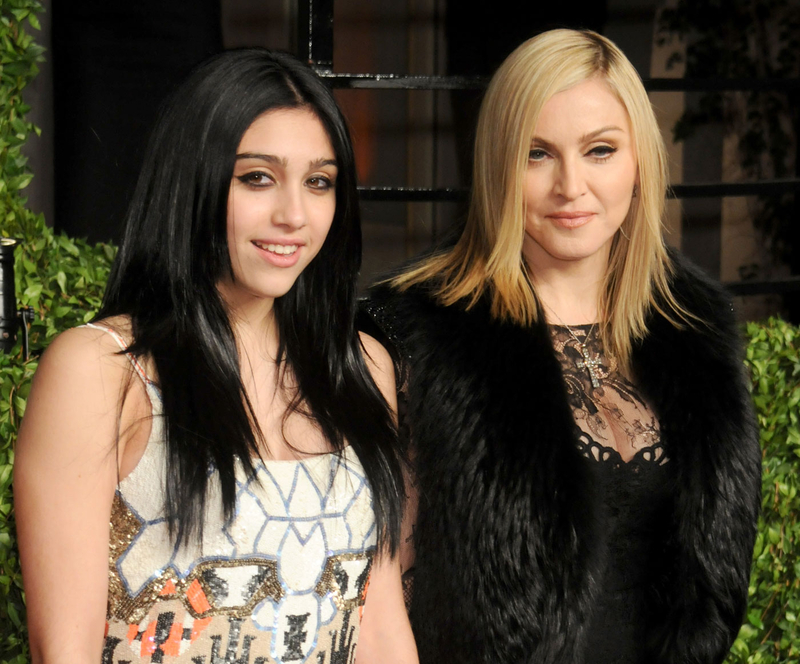 Madonna&apos;s daughter Lourdes Leon, aka Lola, has made her modeling debut, posing in front of the camera for her mom&apos;s pal Stella McCartney. The 19-year-old, who has spent much of her life shying away from the public eye, agreed to take part in McCartney&apos;s latest campaign for her new perfume, Pop, because she approved of the message it was sending. The campaign, which promotes self-acceptance and positive mutual support, is a conscious counterbalance to the potentially negative world of social media. Grimes, Kenya Kinski-Jones and Amanda Stenberg&apos;s involvement was announced previously. “I go through this struggle myself, [where] women’s bodies have been made so public that everyone feels like they need to comment,” Leon told Vogue of the resonance she felt with Pop&apos;s be-true-to-yourself message of individuality. "I love when someone doesn’t pretend to be someone they are not," she added. As news of her daughter&apos;s first foray into modeling broke, excited mom Madonna took to Instagram to share the first photograph to emerge from the campaign—a picture of Lourdes sporting lilac hair, a behind-the-scenes snap from the shoot. "I miss this Beautiful Girl!" the excited Material Girl, 57, captioned the photograph. "Looking forward to seeing her very soon!" McCartney shared another photograph from the campaign via Instagram on Friday, March 11, and used the caption to explain her relationship with, and respect for, Lola. "So happy to have Lola on the POP team!" she captioned the photo. "Lola, who I’ve known her entire life, is at the beginning of her career as a performance artist. She’s an independent, inspirational and free-spirited young woman. Despite being born in the spotlight, she has kept her feet firmly on the ground! X Stella #POPNOW #LolaLeon," she wrote. While things are going well for her eldest child, Lola, Madonna&apos;s family life isn&apos;t all smooth sailing right now. The performer broke down on stage last Friday, March 4, as she dedicated a song to her 15-year-old son, Rocco, who she&apos;s currently attempting to gain custody of in a battle against her ex-husband Guy Ritchie.